While 2018 climate-change news was dominated by President Donald Trump’s announcement of the United States’ intention to withdraw from the Paris Climate Agreement, it was also a year when the financial sector continued its inexorable march away from investing in coal, the dirtiest of the fossil fuels. It’s highly likely no new coal-fired power stations will be built across great swaths of the planet, from the US to Australia and parts of Europe. In the US, more coal power plants closed in Trump’s first two years than in his predecessor Barack Obama’s full first term. Investing in coal plants, which were once a relatively safe bet, now runs the risk of harming a financial institution’s reputation. With this in mind, numerous institutions have taken the step of publicly ruling out further investment in coal. However, some of the policies have the whiff of greenwash, with banks trying to burnish their sustainability credentials while being unable to resist the lure of one or two final deals. Southeast Asia retains a particular appeal because, while the window is closing fast, it is one of the few regions in which coal plants remain in the pipeline. In doing so it became the first major Southeast Asian-focused financial institution (Standard Chartered has significant operations in Singapore) to rule out funding any new coal power projects. It was an important move, and once that rightly received international praise. Standard Chartered’s chairman José Viñals was unequivocal, releasing a public statement titled “Here for good means saying no to coal,” in which he said all the right things about the dangers of coal and climate change. What he failed to mention was that Standard Chartered remains involved in banking syndicates for at least two proposed coal-fired power plants: the 1,200-megawatt Vung Ang 2 and 1,980MW Vinh Tan 3, both in Vietnam. The bank’s involvement in other proposed coal plants, such as the 2,000MW Jawa-9&10 (Banten Suralaya) in Indonesia, remains unclear and Standard Chartered refuses to clarify. On being pressed about the rather glaring contradiction, Standard Chartered claimed the deals were too far developed for it to withdraw. In reality, until a coal plant reaches the point of financial close, when all parties sign on the dotted line, it is highly speculative. Thousands of proposed coal-power units simply haven’t materialized for a whole host of reasons. Of course, there is a process for Standard Chartered to remove itself from the banking syndicates, but it is a path already well trodden by many of the bank’s global peers, including ANZ and several French banks. In ANZ’s case, it published a new energy policy in October 2015 that stipulated it would not fund plants that breached a pollution threshold. 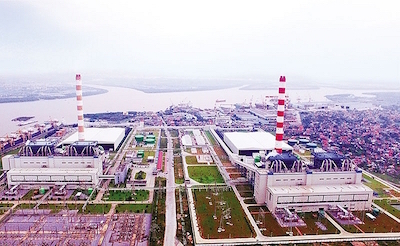 Early the next year, honoring its policy, ANZ withdrew from the lending consortium for the proposed 1,200MW Song Hau 1 coal-fired power plant in Vietnam as it exceeded the announced restriction. Similar circumstances were observed at French banks BNP Paribas, Crédit Agricole and Société Générale. BNP Paribas announced in January 2017 that it “will not provide financial products and services to coal-fired power plant projects, regardless of their location.’” The bank, which was at the time also involved in Vung Ang 2, withdrew from the proposed project in November 2017, 10 months after the adoption of its updated policy. Standard Chartered has the means and opportunity to be a genuine leader on climate and sustainability.